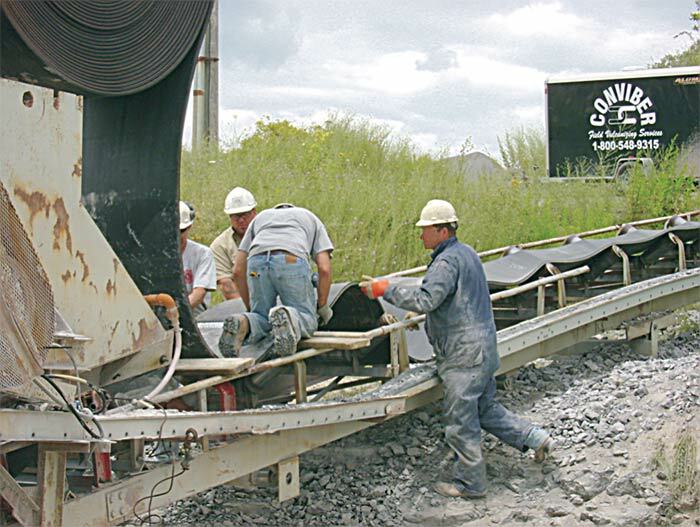 Conveyor Field Services by Conviber Pennsylvania New York Ohio. Our six stocking warehouses assure you quick service - 24 hours day... 7 days a week. CFS takes total responsibility for the belt and field-vulcanized splice with dependable, on-time service and trained professional crews. CFS is a wholly-owned Division of Conviber, Inc.
We will not use outside contractors, only OUR OWN employees and equipment. 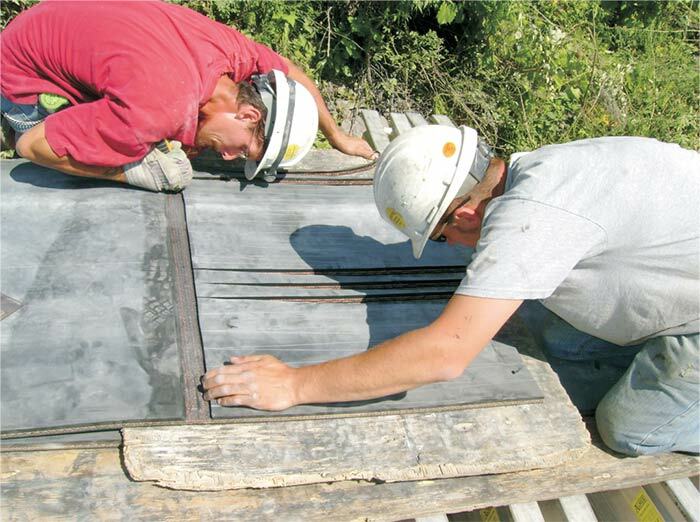 All CFS Field Service Techs are experienced and MSHA Part 46 & 48 Trained. All CFS Field Service Techs are safety trained and fully insured. 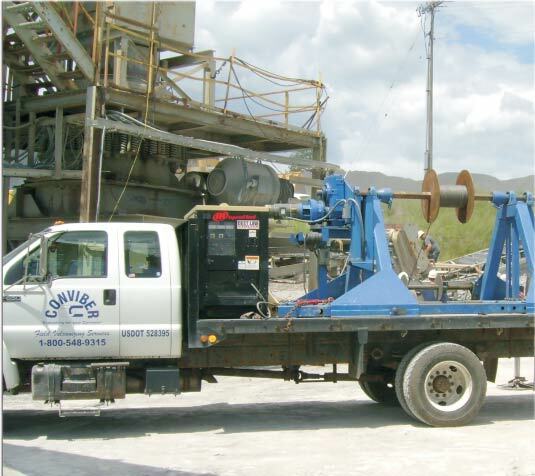 "Around-the-Clock" Emergency Service is available to keep your conveyor downtime to a minimum. Our CFS crews are totally self-contained. We bring our own generators, water, winders and tools to the jobsite. 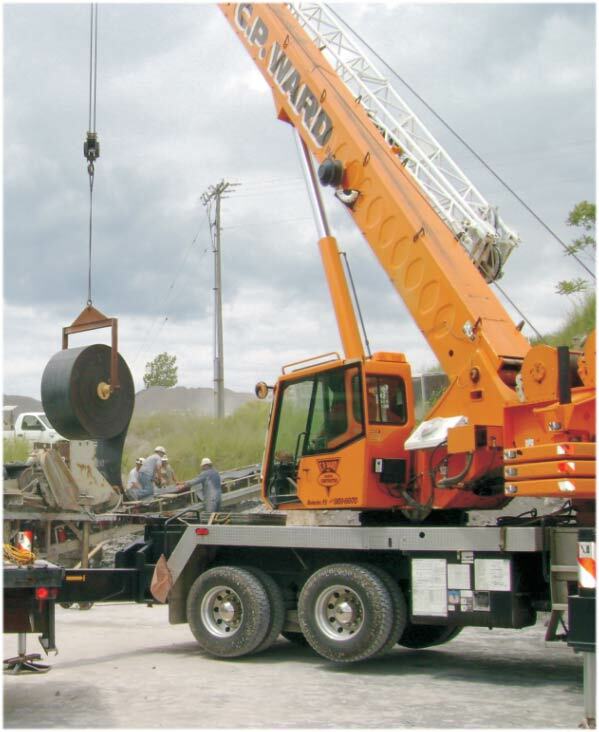 In most cases, we need little or no assistance from your plant personnel. CFS can pull off and re-roll your old belt and string, vulcanize or mechanically splice a new CONPLY®, SUPER CONPLY® or CONFLEX® Conveyor Belt in hours. CFS can vulcanize and string belts to 84" wide. CFS can lag pulleys in place or in our shop with rubber or ceramic lagging. 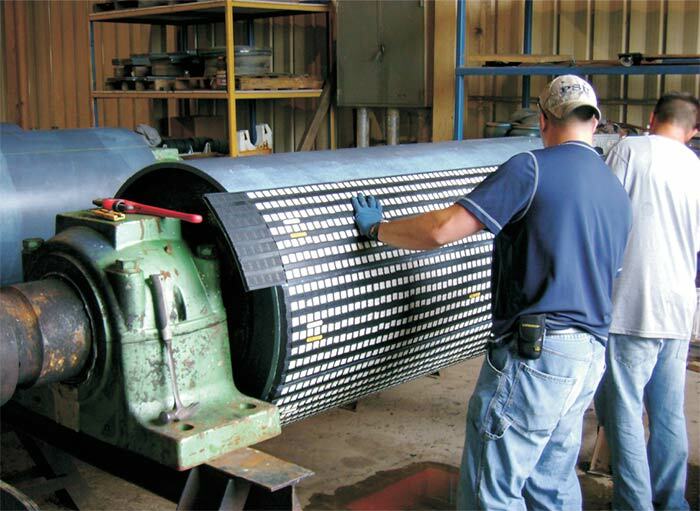 CFS can also change out and replace worn Idlers, Pulleys, Skirtboard Rubber and other conveyor components. CFS can install and maintain Belt Cleaner Systems.